I rarely write blogposts promoting the services we offer. But since we have something new to offer – this is one of those times. Are you involved with issues of leadership in your organization? Then you may be interested in our newest service offering, Trust-based Leadership. And if learning and developments is not your thing, please pass it on to the appropriate person. 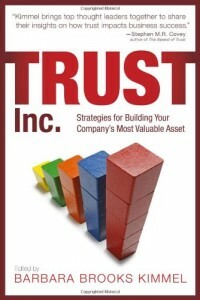 Trust-based Leadership joins our two other flagship programs – Being Trusted Advisors and Trust-based Selling. Here’s how it came about. 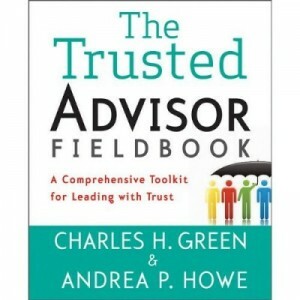 In 2011’s The Trusted Advisor Fieldbook: A Comprehensive Toolkit for Leading With Trust, Andrea Howe and I articulated the central role of trust in leadership. That may sound like a no-brainer, but it’s not all that obvious. Historically, the idea of “leadership” has been all about vertical relationships – leaders and followers, the high-potential few, charisma. Not so much anymore. Now, critical business relationships have moved to the horizontal dimension: partners, joint ventures, alignment, startups, remote teams. In such environments, leaders have no direct control – they can’t give orders, they often can’t even offer incentives. What they can do, and must do, is influence people to move in the same general direction. And the number one driver of influence is – trust. (For a longer discussion of this issue, see The New Leadership is Horizontal, Not Vertical). We’ve had this program in development since early summer 2012, and it’s finally ready. A one-day program, it’s almost entirely experiential. It is aimed at supervisory to mid-level groups in all kinds of businesses and organizations. It comes with diagnostics and sustainment plans. See more details here. It is based on material contained in The Trusted Advisor Fieldbook. Trainers have been certified, the program has been piloted (to rave reviews), and it’s available for train-the-trainer for larger organizations, starting now. (Available at first in the US only; but stay tuned). Email me charlie@trustedadvisor.com or call me directly at 1-855-TRUST01, ext. 1001 (that’s 1-855-878-7801, ext. 1001) for more information, and I will reply to you personally. I’d like to talk more with you about this exciting new program.